We worked closely with the designers at Steiff in Germany to come up with Mochi's interesting shape which combines essential Steiff elements along with a charming realism. Mochi's pear-shaped body emphasizes his tummy for extra adorability! 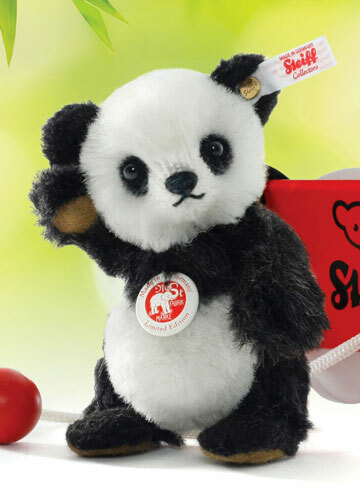 The hands are turned down in a classic manner, just as they were on Steiff's very first panda. Mochi also has short legs and flat foot pads for easy standing. 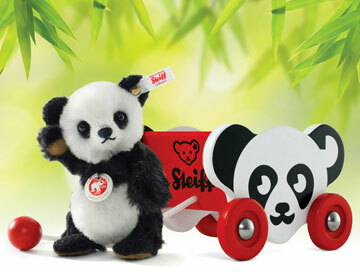 This new Steiff design is simply adorable. Mochi is handmade from black and white alpaca with felt paw pads, airbrushed details and a hand-embroidered nose and mouth. He stands 4.5 inches tall, is five-way jointed for a wide range of posing fun and even features flat foot pads for easy standing. Little Mochi brings along his custom Steiff Panda Cart. This is the latest in our family of limited production wooden carts celebrating the friendly bear head design that Steiff used for decades. Mochi's cart design has been modified with a delightful panda motif. This collectible wooden toy is fun AND functional, a playful accessory for Mochi. 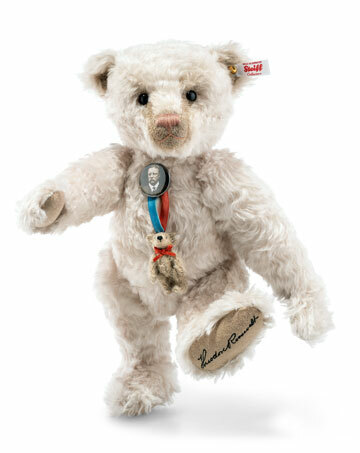 Designed with all the appeal of a vintage toy with it's little pull string, here is a toy worthy of Steiff. The accent of Steiff red on the wheels, the world famous Steiff logo emblazoned on the front and back, a black and white panda bear head... the Bear Cart is unmistakably 'Steiff' from every angle. Mochi's wooden Panda Cart is beautiful in the iconic Steiff red with each side individually painted with a striking panda head motif. 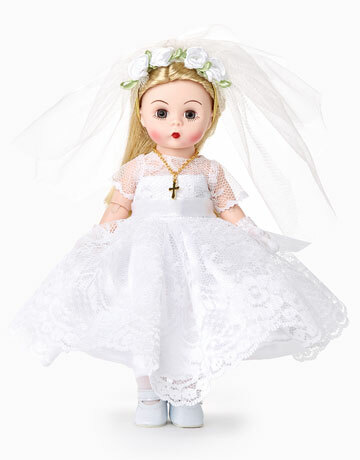 It measures 3.75 inches tall, 5.5 inches wide (side with panda face) and 4.5 inches deep, a terrific size for display or for play. This is a working toy with Steiff red wheels that roll it all around. The inside seating area can hold your Mochi Panda or a number of small items making it functional as well as decorative. Need a smile? Just keep Mochi and his Panda Cart on your desk at work to make the day more fun! Mochi's Steiff Panda Cart will arrive neatly packaged in a custom-designed, heavyweight box. 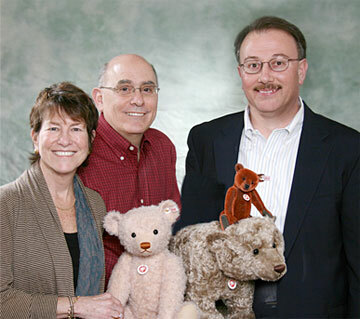 Every inch has been designed with the Steiff collector in mind. Solid and durable, it makes a terrific place to store your Steiff tags, certificates, or maybe some personal treasures. Open it up and your box lid can serve as a bench for your bears or a stand to display your cart (as pictured above). Pull out the illustrated bottom of the box to make a cozy little spot for your smaller bears to snuggle and sit upon your shelf. We know you will appreciate the thoughtful touches of detail such as Richard Steiff's beautiful animal illustrations. Less than a century ago, pandas were very rare and uncommon? Most people had never even seen a panda. It was not until the 1930s that real pandas began to appear in a few major zoos around the world. With their distinct, eye-catching markings and gentle nature, they immediately became popular with young and old alike. 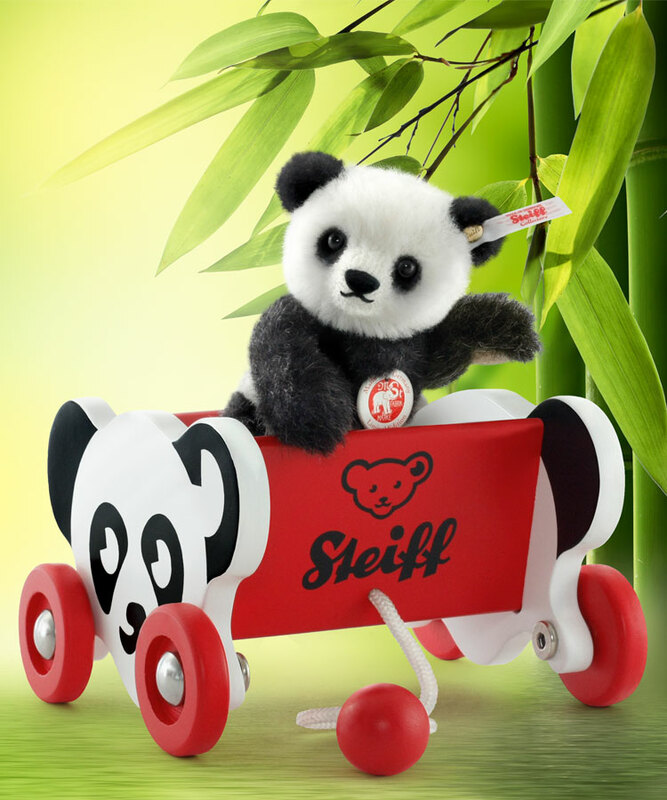 Special shipping offer for Mochi and his Steiff Panda Cart. Limited time offer.